Research on laboratory animals may have large implications for the state of obesity in America today. Researchers from the University of Buffalo have found that when rats were fed a high carbohydrate diet early on in life, they were unable to shed excess weight later on, even if they were put on a calorie-restricted diet. Their research implicates early life conditioning to how the body will react to food later on in adulthood. "This is the first time that we have shown in our rat model of obesity that there is a resistance to the reversal of this programming effect in adult life," explained Dr. Mulchand S. Patel, PhD, SUNY Distinguished Professor of Biochemistry and associate dean for research and biomedical education in the UB School of Medicine and Biomedical Sciences. This relates to people because when parents wean their babies off of formula or breast milk, they usually feed their children baby food that is high in sugars and carbohydrates. "Many American baby foods and juices are high in carbohydrates, mainly simple sugars," he said. "Our hypothesis has been that the introduction of baby foods too early in life increases carbohydrate intake, thereby boosting insulin secretion and causing metabolic programming that in turn, predisposes the child to obesity later in life." In the present study researchers fed 3-week-old rats formula that had the same calories as regular rat ilk, but replaced the fat calories with carbohydrates. Afterwards mice that received the special formula and rats who were not were switched to regular solid rat food so that both naturally raised and formula raised pups would have the same adult caloric and food intake. "These pups who were fed a high-carbohydrate milk formula are getting a different kind of nourishment than they normally would," explains Patel, "which metabolically programs them to develop hyperinsulinemia, a precursor for obesity and type 2 diabetes." "We found that when the HC (high carbohydrate formula fed) rat undergoes metabolic reprogramming for development of obesity in early postnatal life, and then is subjected to moderate caloric restriction, similar to when an individual goes on a diet, the programming is only suppressed, not erased," he continued. "That's why an altered nutritional experience during this critical period can independently modify the way certain organs in the body develop, resulting in programming effects that manifest later in life," Patel says. "During this critical period, the hypothalamus, which regulates appetite, becomes programmed to drive the individual to eat more food. We found that a period of moderate caloric restriction later in life cannot reverse this programming effect." 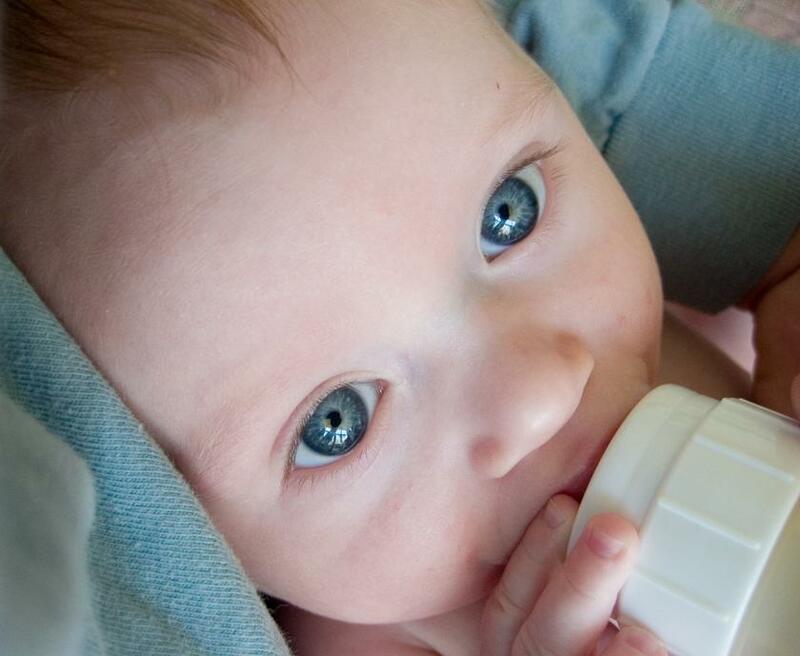 Dr. Patel reiterated that parents should heed the advice of the American Academy of Pediatrics and not give children solid food before four to six months old. The research was published in the American Journal of Physiology: Endocrinology and Metabolism and can be found here.